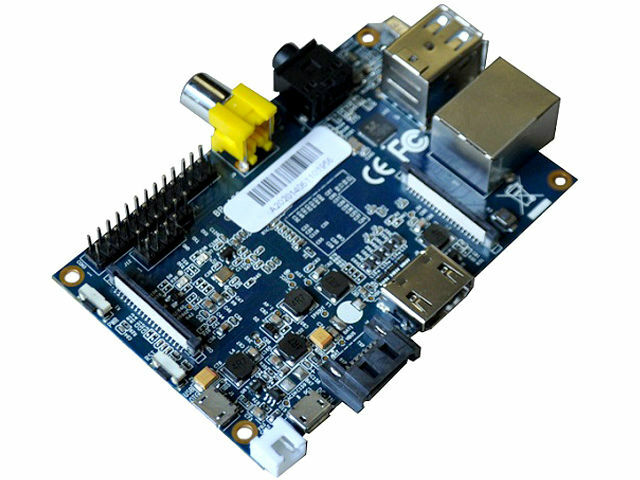 TME’s offer has been extended to include BANANA-PI computer from SINOVOIP CO.,LTD along with accessories. At the heart of the computer is a dual-core ARM Cortex A7 processor, model A20 by the company All Winner with a 1GHz clock. The processor has an integrated graphics unit ARM Mali400MPS2 allowing images to be displayed in FullHD resolution. The computer is equipped with a 1 GB DDR3 SDRAM operating memory. It may work under the supervision of the Android operating system, Debian Linux, Bunt Linux, Caspian and Cubieboard run from an SD card. The computer provides users, among other things with Gigabit Ethernet port, SATA connector to work with external drives 2.5’’ "or 3.5’’ (using an external power supply), 2 USB 2.0 slots and USB OTG slot, DVI slot, RCA and AUDIO OUT (3.5 mm jack). Also, currently on offer is an infrared receiver and interface for connecting external cameras (CSI connector) and display (LVDS). The manufacturer also addressed the needs of more advanced users by equipping the computer with a 26-pin GPIO connector, compatible with the connector for Raspberry PI mod. A and B. The computer is powered through a USB B micro connector with a 5V DC power supply of minimum current capacity 2A. We also offer accessories, among others camera, expansion boards, housings, memory cards and connection cables.